We got our Once Upon a Time premiere, and it promised us both some interesting character drama and a high-stakes confrontation at the climax. Gotham didn’t miss a beat, but had a surprise or two in store. 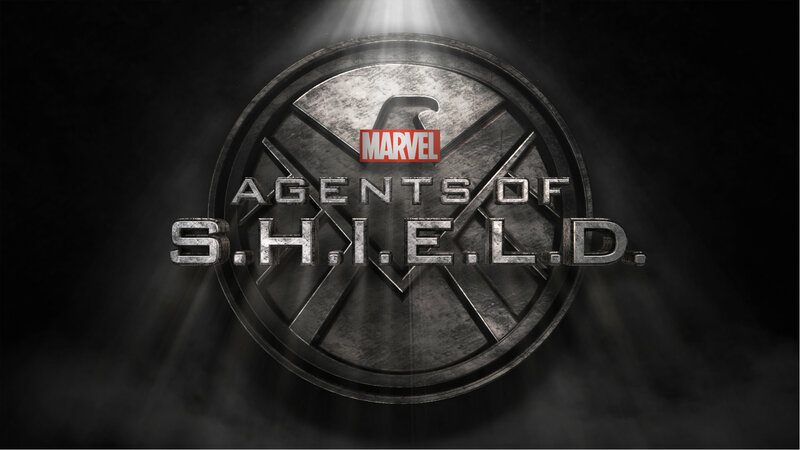 And Agents of Shield had a very aptly-named episode this week. In this season premiere, we pick up right on the heels of last season. After giving Hyde the keys to Storybrooke, Rumple was directed to the Temple of Morpheus, the god of dreams. Using magic dust, he’s able to enter Belle’s dreams, greeted by the god himself, it seems, and instructed that he has a limited amount of time to wake her. Finding Belle dreaming of being his enslaved maid again, Rumple tries to recreate the moment they originally fell in love, to wake her with true love’s kiss. But it’s a lie, and it doesn’t work, and Belle begins remembering everything that’s actually happened. Rumple tries to convince her to take him back one more time, so he can wake her, but she refuses. That’s when “Morpheus” enters, revealing that he is her unborn child. He can wake her now, but first he wanted to be sure his mother would not simply go back to his father after everything he’s done. Not even born yet, and he’s already making the right decisions. 🙂 Seriously, Rumple has so thoroughly brought this on himself that it is the epitome of karma. Belle heeds her son’s warning after he wakes her. So, they go back to Storybrooke, but Belle is firm: she won’t be with Rumple, not ever again. That’s what you get, Rumple: nothing. Mind you, with my omniscient view, I probably would have given Rumple three tasks to prove himself. Task number one would be to save Emma, which I will get to in a moment. Task two would be to save Meela and everyone else trapped in the River of Souls, to fix what he did there. And finally, task three… would be to stop being the Dark One, to cast aside the power once and for all and forever, to truly choose love instead of power. Back in Storybrooke, Hyde brings an airship from the Land of Untold Stories into town. He seems to think the people on board will hand him the town, which doesn’t seem to match with how they flee in terror and hide in the woods. Perhaps I am missing something. Either way, the Storybrooke crew just had a bunch of new characters literally dropped into their laps. They search, but their quarry hides from them, until Snow promises that they mean them no harm, and they can come get food and such at Granny’s, an offer they accept readily enough. When Hyde himself proved immune to Emma and Regina’s combined magical assault, the heroes had to fight smarter instead. Jekyll used junk from the airship to fashion a weapon capable of subduing Hyde, and cuffs capable of holding him. The plan went off almost without a hitch, and Hyde was brought low. That was much faster and easier than usual, eh? Ah, but we can’t count Hyde out just yet. There was one little hitch: Emma. Emma is starting to suffer from some kind of trembling, like a mini-seizure, and terrible visions of a dark figure, hooded and cloaked, and with a sword. Apparently this is something that happens to Saviours, Emma being not the only one of her kind. Aladdin was another, it seems. And on that note, Hyde is prepared. He has brought someone who can help Emma, he says, and all she needs to do is follow the red bird. That red bird bears a strong similarity to he parrot Iago, and leads Emma to a woman with a snake staff. She says she used to be an oracle, and what Emma is seeing… is her death. It is inevitable, unavoidable, no matter what she does. This knowledge hits Emma hard, though she puts on a brave face, trying to spend her remaining time with Hook in happiness. There is something about this which makes me very suspicious. Iago and the snake staff are attached to Jafar, aren’t they? How do we know this former oracle is who she says she is? How do we know she’s telling the truth? Color me skeptical. Color me distrusting. Meanwhile, Regina and Zelena aren’t having an easy time. They try, but they’re holding in their anger, sorrow, and frustration. That’s not healthy, and it was only a matter of time before things exploded. Fortunately, they opened up sooner rather than later. Even if they screamed at each other, that’s better than just holding it in. Regina blames Zelena for Robin’s death, and Zelena is deeply hurt that Regina didn’t include her in her decision to kill her darker half, which Zelena believes is what made them similar to each other. So Zelena moves back out. After this, Regina finds some hope, not believing what Hades said about the destruction of the soul. She believes Robin’s soul is still out there. Zelena, by contrast, goes back to her home and finds Regina’s evil half waiting for her. Looks like she’s going to see firsthand is she’s as similar to the evil queen as she thought. Also, an interesting choice, creating a threat against the Saviour herself, and using it to examine the Saviour phenomenon itself. I wonder who it’ll be that comes to kill her? It’s gotta be a doozy of some sort. The witch in question is Fish, public enemy number one. With her monsters on the loose and the GCPD unable to find and finish her off, people are very afraid. Small wonder that they’re listening to Penguin, even after everything he’s done. It’s not like the cops aren’t trying, but when you go to war with freaks, there are casualties. I note, however, that they’re generally winning that war. They have the weight of numbers and weaponry, after all. They take some losses, but they butcher the monsters. The bloodshed gets even more pronounced when Penguin’s mob joins in. Valerie gets even with Gordon for handcuffing her and cutting her out of their last deal by using him to find Fish, with info gained from Barbara, and then cutting him out and going to the cops instead. Even Gordon would have had a hard time with Fish’s entire circus, though, so it seems to have worked out in Gordon’s favor. After that bloody skirmish, though, Fish snatches Bullock, uses him to find Strange. Fox and Gordon are able to figure it out, though, and the GCPD comes in hot on Fish’s heels, trapping her, though she uses Bullock as a shield. Penguin comes crashing in with his mob, then, turning it into a three-way stalemate. That’s when Gordon makes his move. He sneaks in, gets an audience with Fish, convinces her to give him Bullock in exchange for helping her escape. He arranges that by calling Penguin, telling him to send the mob through the front so Fish can escape out the side, and Penguin can get her alone in the woods. So he saves Bullock, kills monsters, and serves Fish up to Penguin all in one neat stroke. Cold and manipulative, that. The mob overwhelms Fish’s freaks within seconds, butchering and burning them. The surprise comes when Fish tells Penguin that she spared him before because she feels a bit like his creator. The unexpected sentiment convinces Penguin to let Fish and Strange go, this time. He lets his prey slip between his fingers, and goes back to be lifted up by the raucous, blood-sated crowd. Fish may yet be disappointed, as even Strange believes he cannot help her, but she lives another day. Meanwhile, Bruce has his face to face with a representative of the Court of Owls. It’s a simple conversation, where Bruce makes it clear that it is in their best interest not to harm him, but the lady he meets also makes it clear that it is in his best interest not to pursue them. They reach an agreement of non-hostility, a detente that will prove lethal if violated. And so Bruce is returned home to Alfred, alive but defeated, whereupon he meets his doppelganger. Talk about awkward! Finally, Ivy has survived, and aged a bit thanks to that freak’s touch. She’s found and taken in by a good Samaritan, but the man doesn’t take care of his plants, even tossing one in the trash right in front of her. So, when she leaves, now a voluptuous beauty clad in green, she steps over his corpse on the way out. Oh, and, called it, Gordon and Valerie sleep together. Cue the return of Leslie Thompkins. “Maybe she’s just a ghost,” says Mack. “…that’s also a theory,” says Simmons, oh so condescendingly, indulging her friend like a little child, while Fitz does not deign to say anything about it. Mind you, the first little touch of this, wherein May goes nuts, thinking everyone’s infected with something and she needs to stop them all, is not the most stellar introduction to the world of magic, but these first encounters are very rarely gentle. And I’m going to throw down a miniature gauntlet here: if May had been in her right mind, she could have taken the Director down too, Inhuman or no. Yes, you read that correctly. The Director is an Inhuman. Daisy has done major research on her friend with a flaming skull. She knows everything there is to know about Robbie Reyes, the Ghost Rider’s host, and is very much stalking him. She is a hacker, and formerly an agent of Shield, and old habits die hard. She’s also pretty much the world’s premiere Inhuman, now that the Lash-Hive war has rendered the previous generation extinct, so, believing Robbie’s an Inhuman, she’s interested in helping him out. She even investigated his kills, looking for proof of his claims. She wasn’t able to confirm everything, but she did confirm some things. So what does she do now? She confronts him at his workplace, all day long. Robbie… endures her presence, with great patience, quietly telling her to go away. She’s the first person he’s met with superpowers, and the only one who knows his secret, so he’s on edge, but he wants to keep a lid on things. It’s an interesting detente, except for the fact that she keeps pushing him. She doesn’t really get how he can be so into vengeance without also being interested in what’s connecting all these groups and gangs and such. She’s also out of sorts dealing with a guy who sold his soul to the devil, rather than your garden variety Inhuman. Eventually, when no one else is around, she pushes too far, mentioning his brother, and thus ends the detente. He subdues her, she being hurt by her own powers and another substantial blow, ties her up, and digs into her stuff. While looking for proof that Daisy’s right, that she does deserve to die, so he can kill her and be rid of the problem she presents, he learns a bit about her. He learns she has dead people in her past, and feels guilty about it. Then he learns about her investigation, and it triggers something in his memory. Something about a place, a company, and he’s off, with her in hot pursuit. It turns out, they have some excellent timing. The ghost lady from last episode goes home, only to find another family living there, and frightens the daylights out of them, driving the father of the house mad with her angry touch. Then she goes to that company that was robbed, finds at least three more boxes like the one which held her, each with another ghost inside. They talk, angrily, about the one who put them in those boxes. “He” apparently betrayed them when they were alive and dabbling in the occult. The lady ghost had a book and meddled with it, and they all got trapped as ghosts in boxes as a result. The lady ghost, Lucy, wants to lead the others to find “Him” and “the book” and regain their lives. One of them refuses, choosing to destroy the place where they were kept, and, incidentally, several blocks in eery direction around it. Meanwhile, Fitz has analyzed the inside of the box and found a sort of out-of-phase structure within it. It reminded me of some sort of circuit board by its appearance, albeit an unearthly one. Simmons was right about it being a containment unit, and Fitz was right about it being beyond comprehension, there being no technology like it. Mack interrupts and shows them a still image with Lucy among the Chinese last episode, and he and Fitz go investigating. They enter the abandoned company building just as the one ghost is ready to destroy it all, locking Mack up and keeping Fitz occupied by trying to infect him like Lucy did to her victims. That’s when Robbie and Daisy show up. The Ghost Rider burns the ghost up and leaves, taking a picture of the ghosts when they were alive with him, while Quake gets Mack out and they stop the self-destruct. After that… well, it’s not pleasant for either side. Daisy won’t come back, and Mack figures out Yo-Yo has been stealing the bone-healing medicine for her. He is deeply hurt by the betrayal, by how Daisy refuses to lean on them, and Fitz is angry that Daisy turned her back on them. Her friends are angry with her because she won’t let them be there for her. They have a point. I mean, friendship is all about leaning on each other when you’re weak and hurting, relying on one another to stay upright and alive. Daisy might be willing to help them, but until she’s willing to let them help her, she’s not behaving like a real friend. Mind you, in her place, I would rather be out of Shield than have to sign the Sokovia Accords, but that’s not the real reason she left, apparently. She left because she was cutting herself off from the people she loves and who love her. That was not a good decision. Fortunately, fate seems to be throwing her together with Robbie. The episode ends with her leaving her broken van – humorous irony, she spends all that time pretending it’s broken, and then it actually breaks – and joining up with Robbie. A most unusual partnership. But he has something personal in all this business now, saying he’s what’s connecting everything she’s looking into, and she… well, she’s made herself all alone, with nowhere else to go and no one else to turn to. Any ship in a self-imposed storm. Meanwhile, back at Shield, we finally meet the new Director. Coulson calls him “Jeffrey,” and we learn he’s an Inhuman. That was sort of what Coulson recommended when he stepped down as Director. Knowing Shield was going to go public again, he suggested a powered person the people can have confidence in. When Captain America went AWOL in Civil War, they went with “Jeffrey.” He seems pretty capable, decisive, and persuasive. He has some skill in manipulation, which is handy for getting the UN to fund Shield again in accordance with the Accords, but it’s plain to see why his subordinates don’t trust him. He wears a certain warmth like a cloak, but there is something cold to him, both calculating and unyielding. He doesn’t seem to throw his weight around, but he applies exactly as much force as is necessary to get the job done, which strongly resembles bulldozing over his opponents. If he is, as theorized by fans, Jeffrey Mace, a peer of Captain America, then he may well be every be every bit as formidable as Nick Fury, just in a slightly different flavor. So apparently the new Director he’s not, as I suspected, some sort of pansy. He’s just running Shield in a way that will please the UN, so they can keep fighting the good fight. That’s why he’s so interested in bringing Daisy to heel. The public fears her, and she used to be Shield, so he needs to make her an example, to keep public and UN trust and keep Shield running. He cleans up his messes quickly and quietly and thoroughly. That’s plain enough after May, suffering from what Lucy the ghost did to her, goes nuts, and goes straight through a room full of agents, until Jeffrey comes and, with great precision, picks her up and slams her against a wall, just hard enough to render her unconscious. And then he packs her off somewhere in a straight jacket, keeping Coulson in the dark about the specifics. This entry was posted in This Week on TV and tagged Agents of Shield, Gotham, Once Upon a Time. Bookmark the permalink.